Foraging for wild apples in Vermont to make unique cider. Note to readers: This Q&A is part of a series of peer interviews from The Equipped Brewer. Installments will share the key experiences, lessons learned, and advice of owners, operators, and other key contacts at young craft beverage companies as they’ve tackled the challenges of growth. Middlebury College graduates and friends Colin Davis (pictured right) and David Dolginow (pictured left) cofounded Shacksbury Cider in 2013 to build upon their passion for agriculture and their interest in apples. Located in Shoreham, Vermont, Shacksbury Cider, is named after a small historic settlement on the Lemon Fair River 2 miles down the road. Their mission is to make great cider using ‘found’ heirloom apples through their Lost Apple Project as well as apples from orchards in Vermont and Europe, and to continue to find apple trees planted by colonial settlers across Vermont in the hopes of cultivating an orchard to save worthy heirlooms from extinction. When did you first start producing? The cider from the Lost Apple Project has tannins, acidity, and aromatics that come from the 40+ apples that have been in the first two vintages. It is one of the first ciders that we made in 2013. When did the idea for the Lost Apple Project first come about? The Project is inspired by a local, world class cheesemaker, Michael Lee of Twig Farm. The cider that he has made since 2005 for him and his family blew our minds. He was kind enough to share his secret - the incredible, wild apples that grow all around the Champlain Valley. What did you learn during the course of the Lost Apple Project that you didn’t expect to? It has been amazing to think about some of the trees that were planted in the early 1800s and to reflect on how many people have harvested and pressed these apples into cider. The Vermont Folklife Center has some fantastic audio stories of homesteaders talking about how they made cider in the fall as a way to preserve apples, to have something warm to drink, and even to provide a source of water, when clean water was difficult to come by. Currently, Michael Lee is our resident creative genius and apple whisperer. He helps with finding new trees, identifying which apples to propagate, and all other significant cidermaking decisions, like blending, yeasts, and overall process. Was the original goal to find the right varieties then propagate? Yes, we only pick from trees that will make outstanding cider. What varietals did you settle on? We settled on them based on their acidity, tannins, aromatics, and the overall health of the tree. They are all cider apples. Now that you have propagated the 5 varieties that turned into your winning formula, how long will it take your Lost Apple Orchard to bear fruit? The first 250 trees will be ready in 2019. We will continue to explore for varieties every year, to propagate more trees that we love, and to make a delicious, foraged apple cider each fall. Given that your supply comes from trees on other people’s land, how does that impact how much have you been able to produce from year to year? These trees are not maintained (no pruning, thinning, spraying, etc), so they tend to be very bi-annual. We were able to make 100 cases in 2013, 260 in 2014, and 1,500 in 2015. Once we have both wild apples and lost apple trees that have been grafted, our production will continue to increase significantly, though we are not currently sure how much. How much would you like to be able to produce on an annual basis? Our goal is to produce 1,500 cases of Lost Apple cider and 2,500 cases next year, although we are anticipating that there will be fewer wild apples available. Do you produce cider from any other apples that didn’t come about as a result of the Lost Apple Project? Yes, most of our cider comes from a variety of orchards in Vermont and also from Dragon Orchard in Herefordshire, England and a group of orchards in Spain. We use the feral apples for their own lineup of ciders, which we refer to as our Lost Apple ciders. How different does cider taste when made from eating apples vs. cider apples? Eating apples tend to yield light bodied and light flavored ciders with little or no finish or nose, while cider apples have the tannins, acidity, and aromatics to make more complex, food friendly ciders. We blend in eating apples into our year-round series; however, for the Lost Apple ciders, we use only cider apple varieties. How many other US cider makers are using cider apples would you say? Any thoughts on that? Not very many because access to such apples is limited and plantings, which have been relatively slow to happen, take a minimum of 5 years till first harvest. The lack of access to cider apples has led to lots of innovation around flavored ciders. We are always excited to see delicious, high quality ciders being produced, regardless of the style of apple. Please provide an overview of all of your ciders. They can be found at www.shacksbury.com/ciders. The year round and collaboration ciders are our everyday ciders while the limited releases and Lost Apple ciders are more special. My favorite right now is the 2014 Lost and Found. Our customers are loving that and also our Classic and Farmhouse. What do you consider the key to your success? We obsess over fruit. We only pick and press apples that we feel will make exceptional cider. When we have the perfect fruit, we then do our best to shepherd the cider through fermentation and aging with as little manipulation as possible. 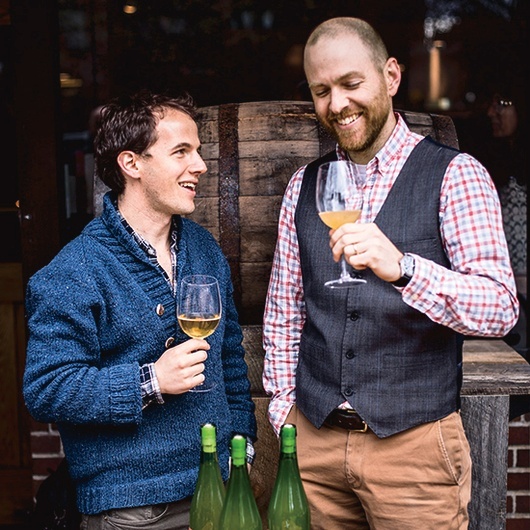 We deeply admire the so-called New California winemakers, who seek to make natural wines that reflect their terroir, and winemakers like La Garagista here in Vermont. What have sales been like for your so far? Sales have been excellent. The 2013 vintage of Lost and Found (then called 1840) sold out of our warehouse in 2 months. The 2014 vintage is just about to be out of our warehouse, as well. We have 20 of 260 cases remaining. Our 2013 vintage of Lost and Found in 2 months and we sold out. We are growing month to month, even in off months. What goals do you have for your business? We’d like to help see cider become as well respected as the fine wines of the world (Bourdeaux, Burgundy, etc). We’re excited to play a role to support a vibrant working landscape in the Champlain Valley, where we are located. It’s a world class region for growing apples. What type of press do you use? For the Lost Apple ciders, we work with Windfall Orchard to press. He uses an Italian bladder press that has a 4 bushel capacity. What type of fermentation equipment do you use? We use a blend of neutral oak, stainless steel, and plastic fermenters for our Lost Apple ciders. The oak we use is neutral. We buy all of our stainless steel fermenters from Prospero in New York, and they are manufactured by SK-Group. We also use some egg-shaped Flextank plastic fermenters, called Apollo and Dexter. How do you go about filtering your product? The Lost Apple ciders are unfiltered. Tell me about shelf life...how soon after your ciders are bottled do they need to be consumed? It depends on the cider but minimum 12 months and up to 3-5 years. We recommend storing the product in a cool, dark, dry place. Where are you primarily selling your ciders? We work with a mix of wine and beer distributors, typically mid-sized for their industry, and that has been working well for us. What’s most important for us is to have wholesale partners that we enjoy working with and who are authentically excited about our ciders. When will the second vintage of the Lost Apple cider be available? The second vintage is out in the supply chain and is now available in stores in VT, MA, NY, CA and Washington DC. We made 260 cases this year. What advice do you have for those who are considering getting into cider making? Don’t cut corners on the apples, whether eating or cider. If you start with great apples, you stand a chance to make great cider. No such possibility with bad apples. 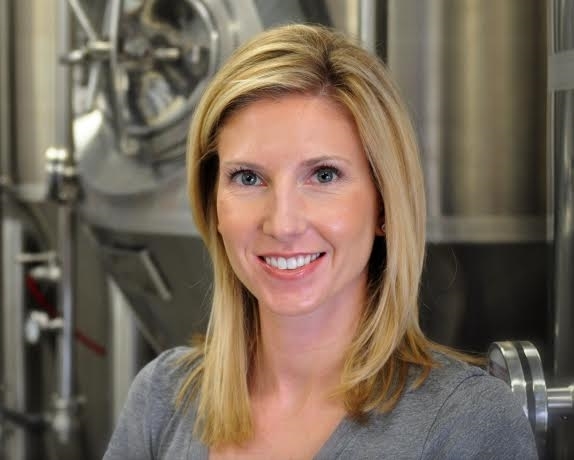 Melanie Collins is the owner of Cider Creek Hard Cider. Prior to starting her own business, Collins created Hubspot's Media Program and managed the division's sales and marketing efforts. She also sold digital media and radio campaigns for Entercom, Greater Media, and CBS radio. Collins is a graduate of Emerson College with a degree in Journalism and Public Relations.